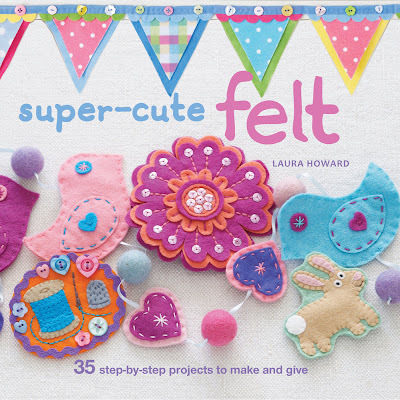 I sold out of copies of my first book, Super-Cute Felt, a few months ago and thanks to being busy with other things (including working on my new book, which is due to be published this autumn! Yay!) I have totally failed to get round to ordering some more... until now. So, if you fancy a signed copy of my book you can buy one from my main shop or my Etsy shop. I bought your book in Holland a few months ago, and I like it very much, it is inspirationable, as is your blog. Thanks! I bought your book and then I found your blog. And now I can't stop reading both! So many amazing things.